Nearly 9,000 private FLSA lawsuits were filed in 2015. That number might not seem panic-worthy, but when you consider that the number of lawsuits filed between 1995 and 2000 hovered around just 1,500 per year, 9,000 suddenly seems astronomical. To put that into perspective, it’s the difference between 4 and 25 lawsuits filed each and every day. Those numbers have been on the rise since the mid-2000s, and experts predict that they will only continue to climb. But if you think your business is safe, think again. As it turns out, not even the U.S. Department of Labor is safe. According to Bloomberg Law, the DOL has recently agreed to pay $7 million dollars to settle a lawsuit filed in 2006 by AFGE Local 12 (a Union that represents thousands of government employees in the Washington D.C. area). The Union claimed that the DOL had violated the FLSA — the very statute the DOL is tasked with enforcing. The DOL’s violation? Failing to compensate employees for off-the-clock work — a complex and confusing portion of the FLSA (but really, “complicated” and “confusing” can be used to describe the entire thing). Understandably, the DOL is getting a lot of flack for breaking their own rules, but, the truth is, it could have happened to anyone. And if the DOL can make a mistake regarding the FLSA, you’d better believe that you could too. I know what you’re thinking, “Maybe the DOL should feel a little shame — it’s their job to know these things ‘offhand.’” But Paul DeCamp, an attorney with Jackson Lewis in Washington D.C. jumps to their defense. Unfortunately, that needed change likely won’t be happening anytime soon. The moral of the story is this: The FLSA is a complex bunch of statutes filled with even more complex rules and regulations. It can be nearly impossible to understand and comply with them all — even for the very department that created them — which is why it’s so important for business owners to consult with counsel and perform regular FLSA audits of their company and employees. Click here to learn more about FLSA lawsuits and what you can do to avoid them. It’s also the reason it’s critical for you to utilize the tools that make it easier to comply with the FLSA — and to react strategically and quickly if you do find yourself with a lawsuit on your hands. Like, you know, cloud-based time tracking. 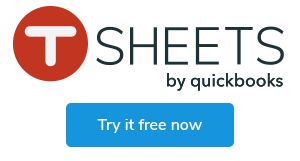 With a black-box audit trail, overtime alerts, and accurate-to-the-second employee hours for payroll, TSheets is your friend when it comes to the FLSA’s wage and hours provisions. Start your free trial today.